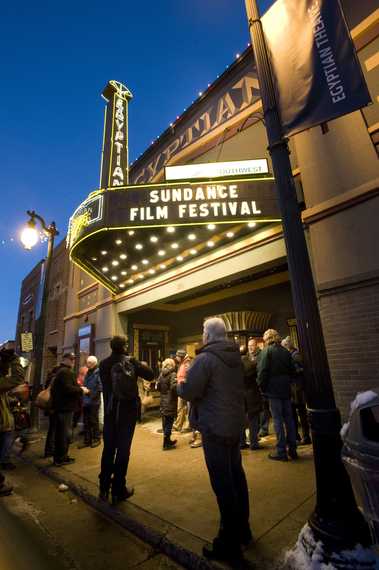 Perhaps the most famous of Park City's winter attractions, the Sundance Film Festival is truly an event for the ages. Home of the 2002 winter Olympics, Park City has long been known as one of the skiing capitols of the United States. With some of the most visited ski runs in the nation and, of course, the smoothest powder on the West Coast, this skiing giant has consistently attracted droves of travelers and adrenaline junkies just looking to hit the slopes. However, skiing isn't all Park City has to offer during the winter months; in fact, there is a wide variety of activities that make Park City a true winter wonderland, even when you keep "French fries and pizza" (skiing) out of the equation. From the storied Mary G Steiner Egyptian Theater to the variety of mine sites, historic buildings, and museums throughout the area, Park City is a place well-known for its historic offerings which coexist with a booming modern downtown area. However, the most iconic landmark - though maybe the newest in this historic mining town - is Olympic Park, the site of the 2002 Winter Olympics. The centerpiece of the area, this majestic complex still stands today, and is in fact still active! Take part in ski training, bobsledding, and more as you train to conquer the famous runs, or just visit the museum highlighting the legacy of this exceptional feat of engineering. Olympic Park even lets you take to the Bobsled track, regardless of your individual skill level! Just hop in with a designated pro, and channel your inner Cool Runnings - bobsled style! As the temperature plummets, and the rolling countryside gets blanketed with soft, white snow, Park City becomes a beauteous locale that simply must be seen to be believed. And yet, when at ground level, surrounded by trees, buildings, and people, it can be hard to truly appreciate the beauty that this grand community contains. That's why hot air ballooning is a year round sport in Park City, with tours running from January to January regardless of snow or sunshine! 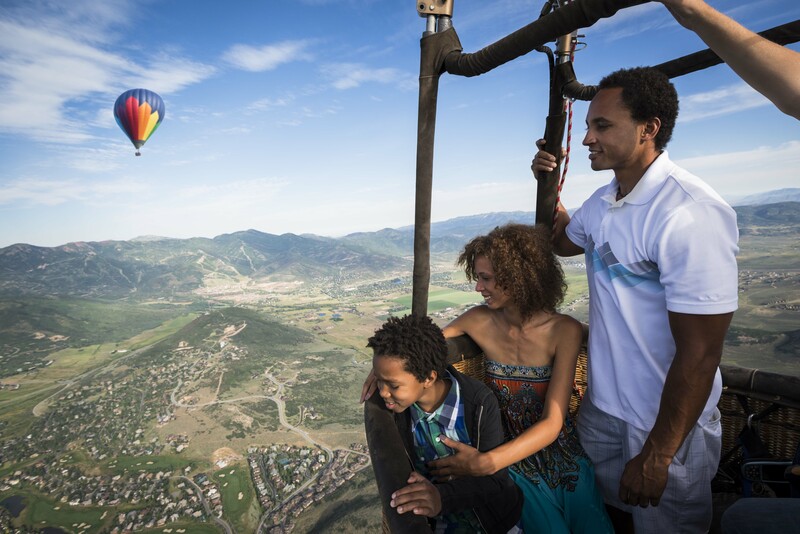 Though every locale with an active tourist population has hot air balloon tours, few - if any - can match up to the grandeur of Park City. Want a break from snow, snow, and more snow? Then the Homestead Crater in nearby Midway may be what you're looking for. This geothermal spring - located within a 55-foot tall beehive-shaped limestone rock - is as unique as it is enjoyable, allowing you to snorkel, scuba dive, swim, or just enjoy a nice soak. Best of all, because it's filled with 90+ degree Fahrenheit water, these hot springs are accessible regardless of how snowy or cold it is outside - just don't forget to hit up the nearby Fanny's Grill when you're done! Just because Park City is a skier's paradise doesn't mean other snow sports can't share the slope; fortunately, Gorgoza Park's winter tubing shares that sentiment! This unique locale offers seven tubing lanes, mini-snowmobiles, and endless winter fun for those of all ages. Best of all, ski boots aren't even allowed, so you never have to worry about constantly dodging your fellow daredevils (as you would on the more open ski slopes). This park is for tubing and snowmobiles only, so you and your children can have some good old fashioned family fun! Perhaps the most famous of Park City's winter attractions, the Sundance Film Festival is truly an event for the ages. Taking place every year during January, this festival plays host to a variety of arthouse, independent, and pet project films that delight and perplex in equal measure. It is truly the place to go if you love and appreciate the art of film! But, even if you don't find yourself fawning over your favorite directors and discussing the pros and cons of each film's minute details, Sundance transforms the quiet Park City landscape into party central, with over 40,000 attendees on average. It is during this time that Park City truly comes alive, giving you access to multitudes of parties and gatherings at night, while ski and other winter activities are still available during the day! In other words, this is the time to be here for your Park City vacation. With all these incredible activities during the winter, it's easy to see why Park City is not only a winter vacation destination, but also a site of real estate growth and so much more. People just want to be here! Trust me; take a chance, and choose Park City as your next vacation destination - you'll be happy you did!